We have a real passion for travel and a thorough understanding of people and culture. Our experience together with our meticulous care, attention to detail and personal touch really does make us the leading and longest established Travel specialist. Explore Europe at your own pace. Discover the relaxed enjoyment of independent travel. Our tours are custom-made for the individual traveler. Most people visit Europe to see the famous sights they’ve always heard about. But an equally important part of any travel experience is to savor the real flavor of a city or country. Stay where the Europeans stay, eat where the Europeans eat, and share the European view of Europe. 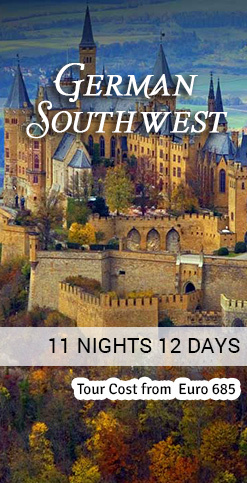 We offer you great deals on Europe travel packages to the finest regions. There is a host of cities waiting for you , Weekend & City Breaks to Europe. A Choice of Short trips ranging from 2 - 5 days. A city break can be many things - a relaxing week , an exciting weekend a buy - all spending spree , a cultural experience . The cities of Europe varies in every aspect and visiting each one will broaden your views and offer you a new different experience with each visit. Discover at your own pace. Feel like a local as you savor the European food, drink the local beers and wine, and explore the wonderful cities. Honeymoon is a memorable experience of a lifetime. Europe has something for everyone. Looking for an urban escape? Head for Spain’s coolest cities, for the romance of Florence, Venice or Rome, or the glamour of the Côte d’Azur. For a longer break choose from the sun drenched chic retreats that scatter the Greek islands, the Amalfi Coast with its breathtaking views, the powdery beaches and sophistication of Sardinia or the Algarve with its immaculate golf courses. A beautiful Alpine country in central Europe. Switzerland is the most beautiful country on earth being a piece of heaven, quite and peaceful. If you want piece of mind, a green and pleasant place for the whole family, there is no other destination to be considered. The safety, security, and scenic beauty of the country for walking, hiking, and skiing, give it a strong and robust tourism sector. The land of royalty, majesty, and history , you’ll experience it all. Imagine being Royalty when you see the Queen’s residence at Buckingham Palace and the Crown Jewels at Edinburgh Castle. Step back in history at mystifying Stonehenge and kiss the legendary “Blarney Stone” in Ireland. Or savor the amazing scenery in the Scottish Highlands and along Ireland’s Ring of Kerry. But that’s not all…a value-packed vacation also offers opportunities for excellent shopping, lively entertainment, and amazing museums sure to leave you with lasting memories. Two countries filled with ancient history, beautiful scenery, and awe-inspiring sight . Take in the beauty of charming Mediterranean towns and islands on this breathtaking journey through Greece and Turkey . relax on the sandy beaches in Kusadasi Or cruise the Aegean Sea and sail to the Greek Isles.